Goat anti Bovine, Canine, Human RAB8A. Western Blot: 0.1 - 0.3 µg/ml. 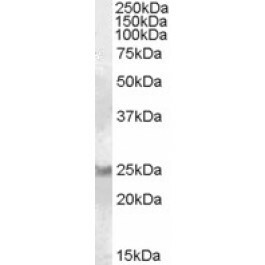 This antibody reacts to RAB8A.